Is the week treating you well? I hope you’re keeping warm if you’re in SA! It’s getting rather chilly. I love it! My ring finger is a bit messy and I am not sure if that is me or if this red just doesn’t like bigger images but it does show up really well on the white. You can even spot it on the black which is something I don’t expect from red polish. It’s not great but you can see it. It stamps ok but might possibly favour the thinner / smaller images. I have stamped with this one a few times and it hasn’t really disappointed yet. It shows up beautifully on the white but just look at it on the black. I think the shimmer just makes it pop on the black. It stamps really well. Considering this is a red jelly I didn’t expect much but it actually delivered more than I expected. It does show up on the white but not even a little bit on the black. It stamps ok on the thinner / smaller images but honestly, others in this post performed much better. Wow, this is a winner. Shows up beautifully on the white and barely visible on the black. It stamps beautifully though. 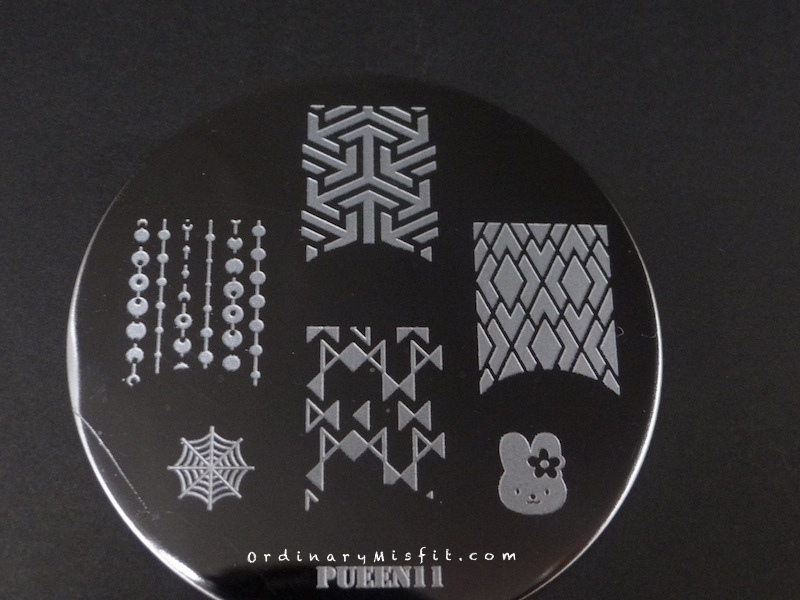 For white or light stamping this is great. The red is a very dark oxblood red so if you prefer a more cherry red this isn’t it but as far as stamping ability goes, great! I think a few of these did well but Kensington high street is definitely a winner for me and Just be-claws is a total winner on the black. What do you think? Do you want to see any of them stamped over a specific colour? Do you have an idea for a stamped design you would like me to do? Do you have any suggestions for changes or additions you would prefer on these posts? I would love to hear from you. Or if you want to choose the next 4 polishes let me know.